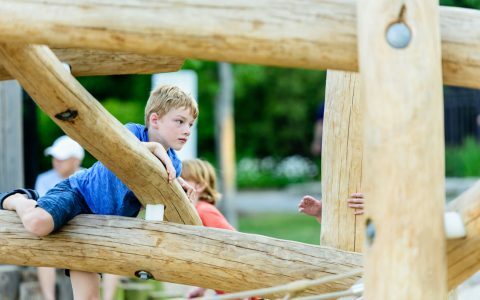 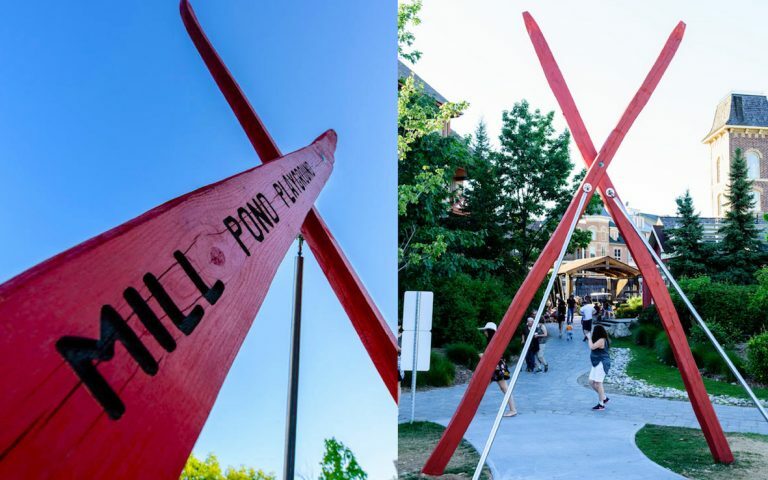 A hand-carved wood ski sculpture signals the entrance to the Blue Mountain Village playground and connects this summer space to Blue Mountain’s winter ski culture. 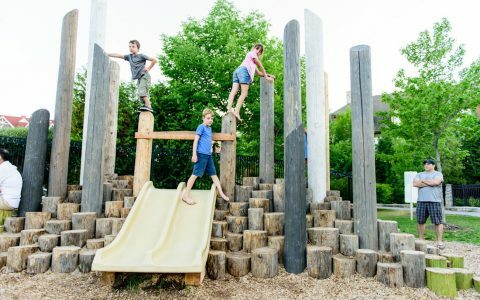 In the initial meeting with the client, an active and creative play space was envisioned as an addition to the village daycare. The design features play elements for younger and older children. 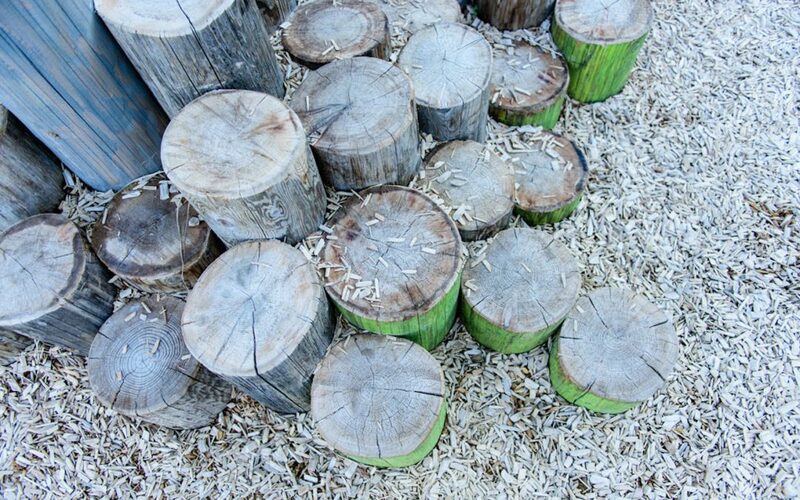 The largest element is the senior log jam™ which offers a fun and challenging play experience. 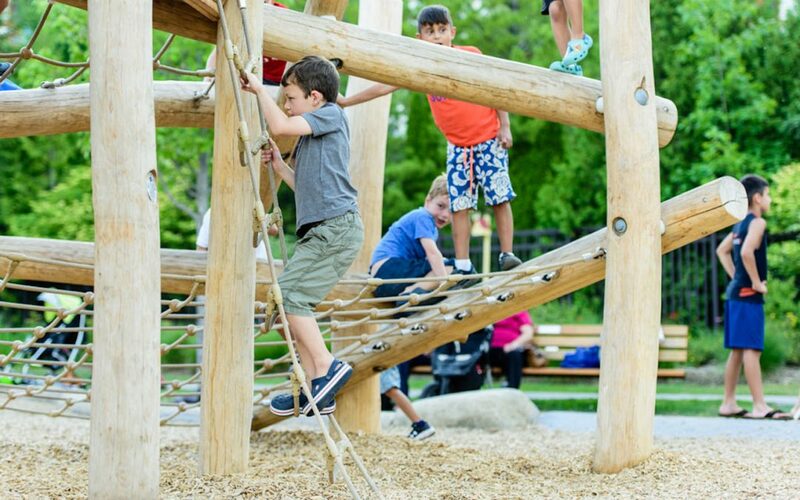 To the west is a colourful junior timber climber and an extra wide slide. 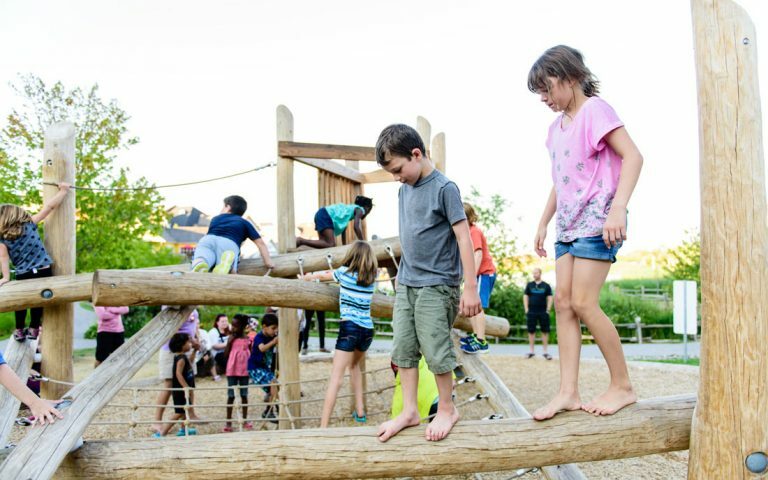 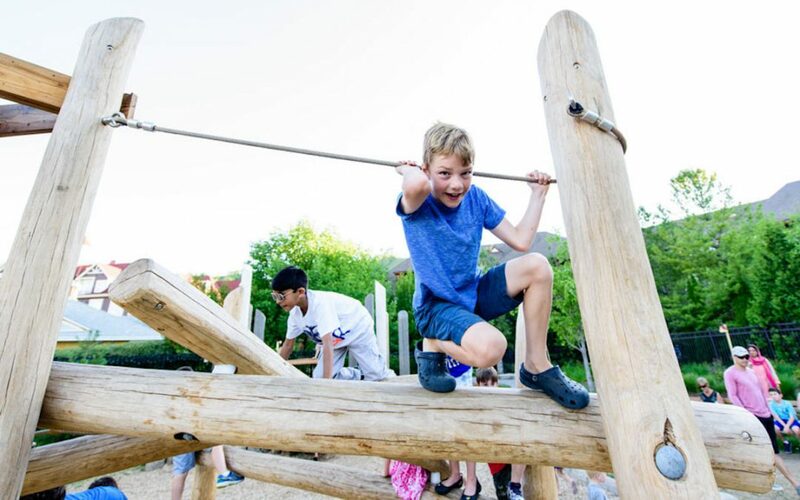 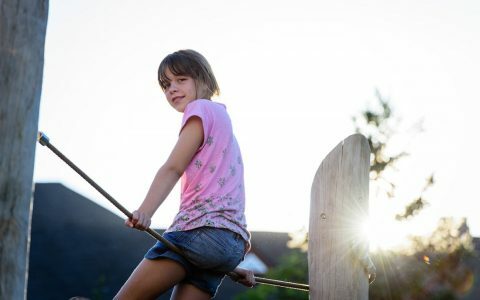 Kids can choose endless routes to climb up the timber climber to go down the slide or use the gentle grassy slope at the back. A sand play area at the back offers sensory play under the deciduous shade trees. 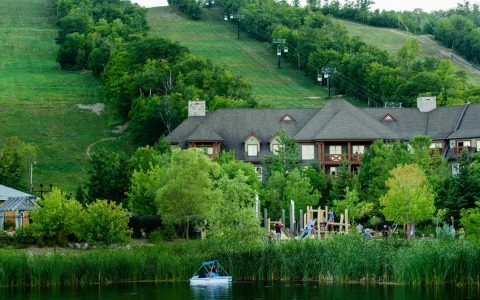 Connected by an asphalt pathway, the amphitheater is located just east of the Blue Mountain Village resort. 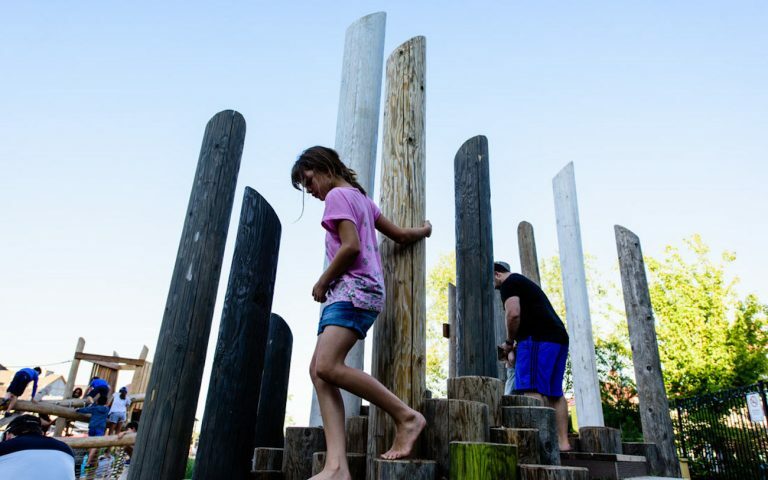 Two tiers of boulder seating form the amphitheater, overlooking Mill Pond. 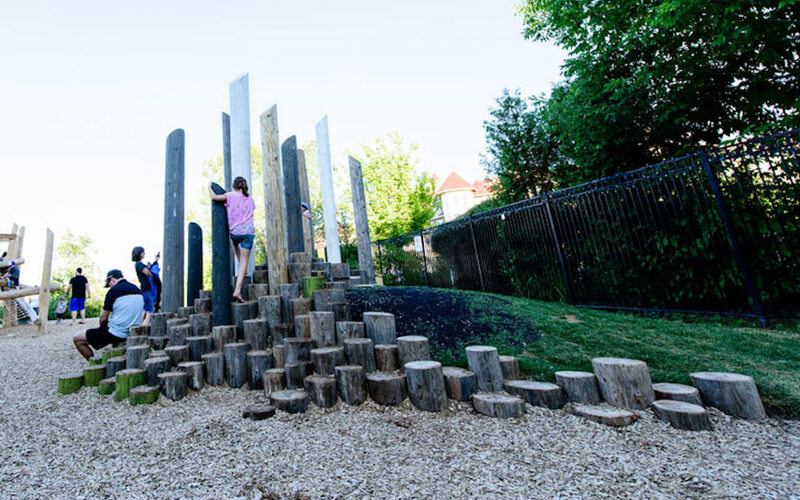 An armour stone staircase ascends between the tiers of seating, and interlock pavers form the space at the top and bottom of the amphitheater.